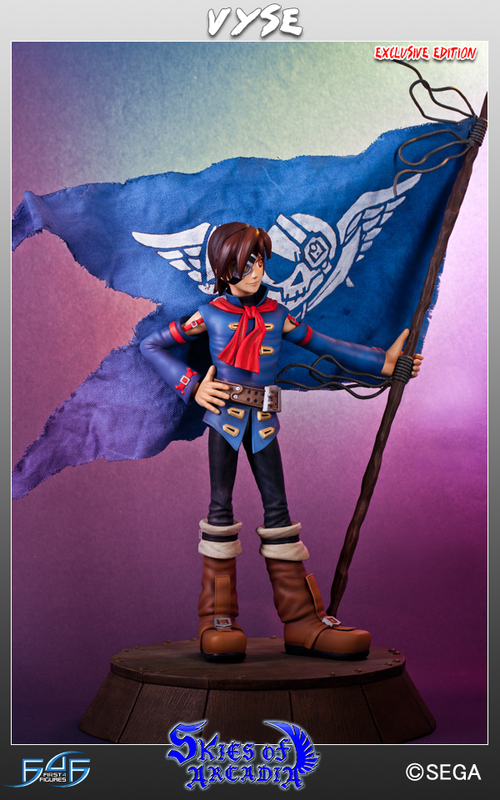 April 29th 2014: Vyse takes to the Skies of Arcadia! 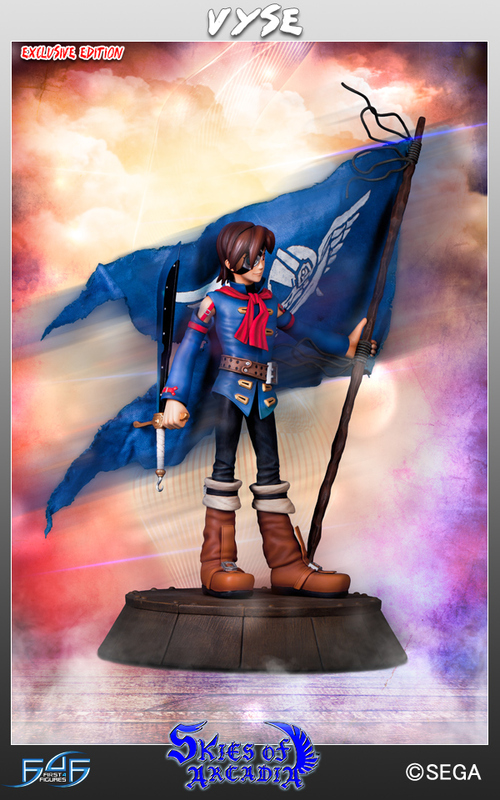 Following the strong debut of our SEGA All-Stars collection at the end of last year with the release of our Ryo Hazuki statue, we at First 4 Figures are excited to launch Vyse, from the cult-classic Dreamcast title ‘Skies of Arcadia’, as the next addition! Vyse has most recently been seen starring in the 2012 hit Sonic & All Stars Racing Transformed, and ever since SEGA fans have been highly anticipating top-quality merchandise featuring him. 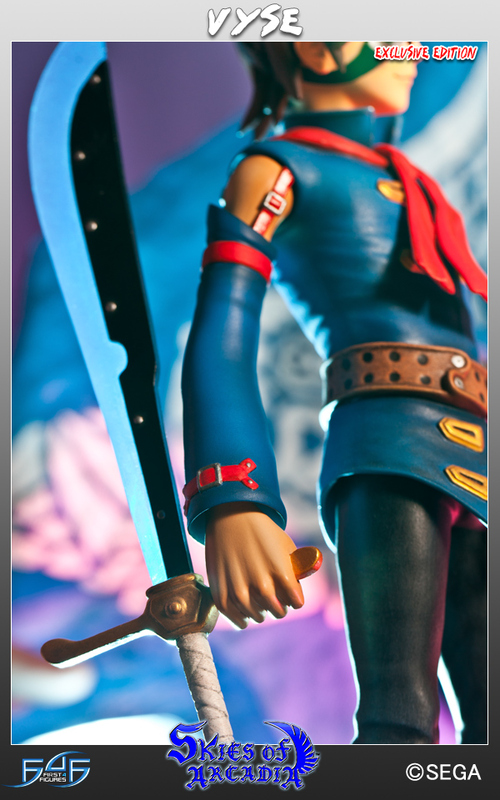 Vyse is a unique and masterfully detailed addition to the SEGA All-Stars collection. Boasting an impressive 1/6 scale at 17″ tall and with his trademark pose captured in polystone resin, Vyse also sports a mixed media approach with his Blue Rogues flag made out of an authentic-looking and durable fabric. As always with our products, a team of skilled artists will finish the statue with paint and finer sculpting by hand. The original sculpt was designed by Salvador Felix. Vyse will be available in two limited editions. The first will be made up to only 1000 units and can be pre-ordered at our website for $199.99. The second is the exclusive edition, which includes an additional switch-out arm piece holding the Pirate’s Cutlass weapon. It is highly limited to just 425 units and can be pre-ordered for $219.99.